A recent study proves that caffeine can protect DNA from carcinogens. Specifically, this new research suggests that caffeine, administered in a mouthwash, could delay or prevent the onset of cancer of the mouth. Scientists showed that caffeine can bind to and remove ethidium bromide, a dye and a potent mutagen, and in this way act as a drug for keeping cancer at bay. The researchers observed a significant detachment of ethidium in the caffeine solution. The research was conducted by the Department of Chemical, Biological & Macromolecular Sciences, S. N. Bose National Centre for Basic Sciences, Salt Lake, Kolkata, India, and the National Institute of Advanced Industrial Science and Technology(AIST), Tsukuba, Ibaraki, Japan. Yet another amazing benefit of caffeine! And yet another reason to study caffeine as a potential source of new and powerful pharmacological agencies. 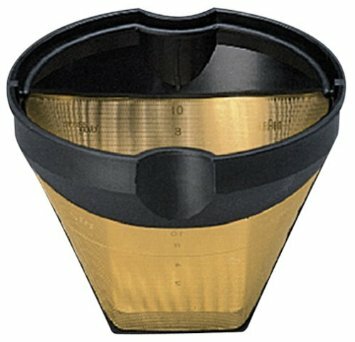 Ideally coffee shloud go from bean, to grinder, to brewer. Any amount of time it spends not in an airtight container will affect it.If you need to, do it before you go to bed the night before. But the best is to spend the 3.5 seconds in the morning, and put the grinds in.